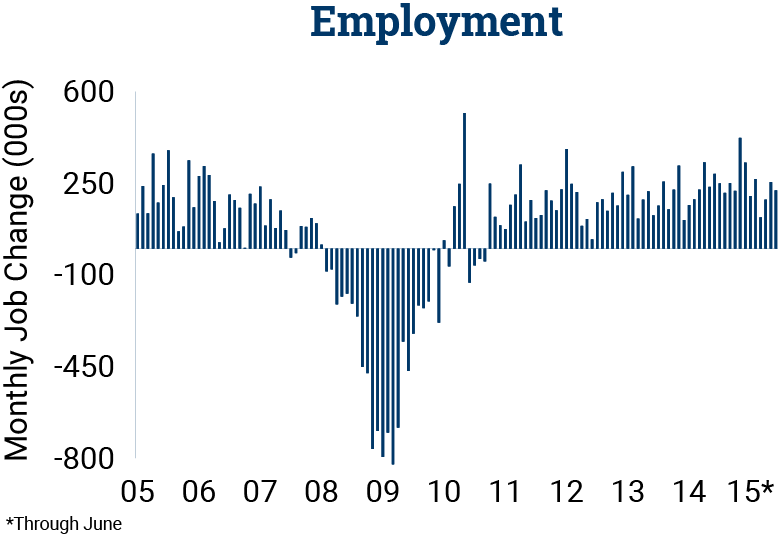 According to the June employment numbers, the U.S. economy continues to shake off the weak first quarter of this year, though signs of a breakout remain stubbornly absent. Nonetheless, the anticipated increase in the federal funds rate remains in the September/October range, though the Fed has some leverage to delay a decision at the July meeting, raising the likelihood of a rate hike in October. An early autumn lift in target rates could limit the increase in the federal funds rate to just 25 basis points this year. Next year, the federal funds rate is anticipated to rise 75 to 100 basis points. The economy added 233,000 jobs in June, bringing annual job growth to 2.1 percent, or 2.9 million jobs. Employment gains have been in positive territory for 57 consecutive months, the longest stretch since World War II. Growth was broad based last month, lead by the professional and business services sector, which contributed 64,000 jobs, and education and health services, which added 40,000 positions. After the Supreme Court reaffirmed the legality of the Affordable Care Act in late June, healthcare employers that hesitated to add staff could accelerate the pace of hiring in July. The unemployment rate dipped 20 basis points during June to 5.3 percent, the lowest level since early throes of the Great Recession. Although falling unemployment is indicative of a healthy job market, last month’s decline was largely the result of a declining workforce. Lower unemployment was also aided by stabilization in oil extraction. Only 4,000 jobs were cut in the mining sector, brining year-to-date losses to 71,000 positions. Despite a tighter labor market, wage growth failed to maintain the momentum generated in May, providing some evidence that the Fed will wait until October before launching rate hikes. Although June’s job growth was unimpressive, urgency to purchase homes before the Fed puts upward pressure on interest rates is evident. 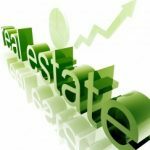 Existing home sales in May soared by more than 5 percent over April’s level, and new home sales reached a 7-year high. Bidding for homes will remain strong in the coming months as buyers attempt to close before mortgage rates rise further. In the past month, the average 30-year interest rate climbed 20 basis points.